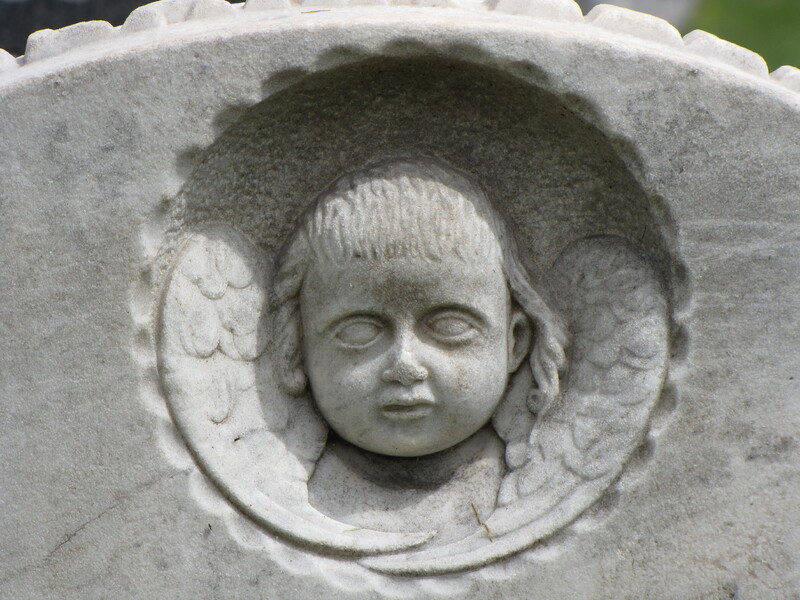 The gravestone of this little girl is haunting with those hollow eyes. Only 18 months months after she was born, she died. 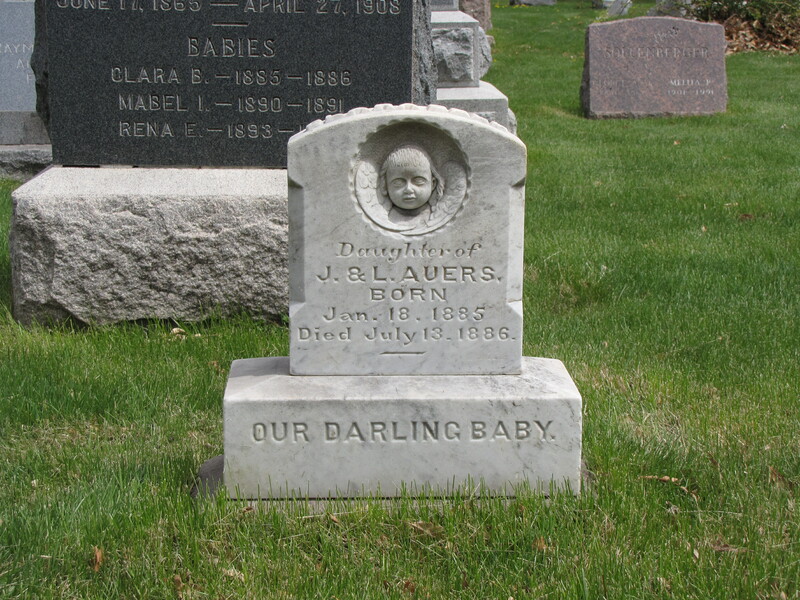 Her gravestone features a winged cherub that may be a portrait. The winged cherub was a symbol that became popular in the 18th Century. Winged cherubs replaced the stark and morbid flying death’s heads from our Puritan forefathers. The cherubs have a childlike countenance of innocence. The iconography represents the flight of the soul from the body upward to Heaven and the hope of the resurrection. Thank you for the comment and the math! I always appreciate a good editor.